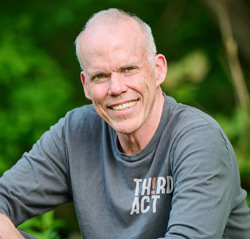 As America and the world grapple with the consequences of global environmental change, writer and activist Bill McKibben offers this unprecedented, inspiring, and timely anthology gathering the best and most significant American environmental writing from the last two centuries. "Each advance in environmental practice" in our nation's history, McKibben observes in his introduction, "was preceded by a great book." Here, for the first time in a single volume, are the words that made a movement. Classics of the environmental imagination—the essays of Henry David Thoreau, John Muir, and John Burroughs; Aldo Leopold's A Sand County Almanac; Rachel Carson's Silent Spring—are set alongside an emerging activist movement, revealed by newly uncovered reports of pioneering campaigns for conservation, passages from landmark legal opinions and legislation, and searing protest speeches. Throughout, some of America's greatest and most impassioned writers take a turn toward nature, recognizing the fragility of our situation on earth and the urgency of the search for a sustainable way of life. Thought-provoking essays on overpopulation, consumerism, energy policy, and the nature of "nature" join ecologists' memoirs and intimate sketches of the habitats of endangered species. The anthology includes a detailed chronology of the environmental movement and American environmental history, as well as an 80-page color portfolio of illustrations. "Thanks to American Earth, I know the passion of these writers will continue inspiring Americans to protect our country for generations to come." "Superb . . . American Earth can be read as a survey of the literature of American environmentalism, but above all, it should be enjoyed for the sheer beauty of the writing." "Unique, much-needed . . . 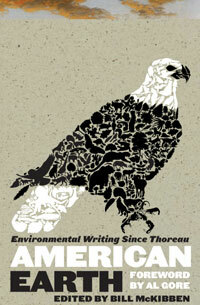 If you choose but one environmental book this season, make it American Earth."